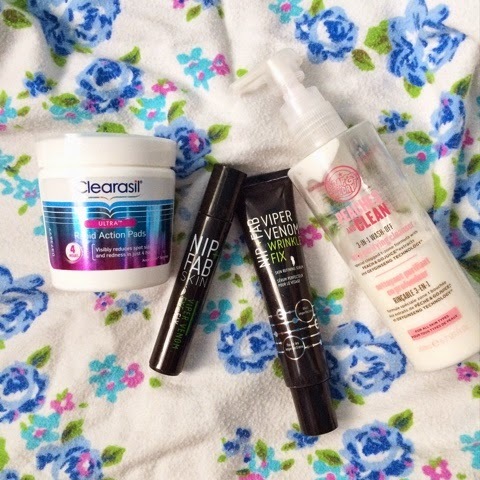 I would say I have a pretty simple skincare routine! I know that I should take more time with my skin as it is super important. I am getting more into the habit now so I thought I would share. My morning and evening routine are pretty much the same, the only thing different is that in the mornings the I tend to splash my face with cold water, 1. to get any sleep off my face and 2. to waken me up. A 5'oclock start 100% needs a good 'wake me up' in the morning. I then use my Peaches and Clean cleanser. I use this to take my make up off, but I also use it in the morning just to get rid of any dirt that I haven't gotten off the night before, making my face feel clean. I did a full review about this here. I have been using it for four months and still loving it. 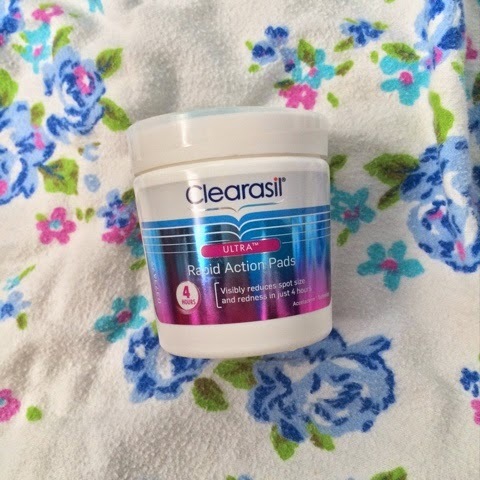 I then use are Clearasil Ultra Rapid Action Pads wipes. This helps with my break out. I wipe it over my face just to make sure all make-up is off. It makes my face feel fresh. In the morning I do the same as it again makes my face feel fresh and clean. I would hugely recommend these. I did forget how great these are. They are really cheap yet really amazing for my skin. 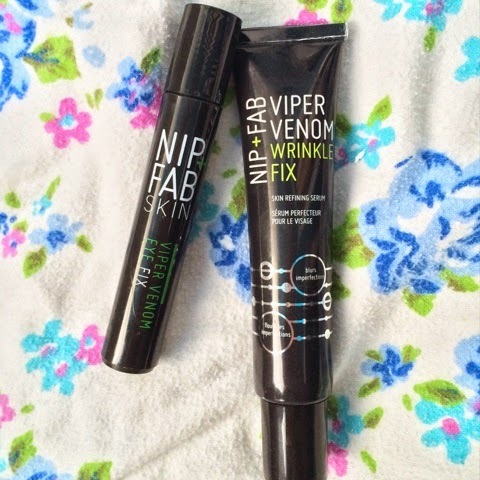 Next I use my Nip and Fab Viper Venom serum Gel. This is too help with wrinkles. I'm not partially at the age for a lot of wrinkled but I do feel my forehead is bad. This has viper venom to stop wrinkly. I guess it a prevention. The last thing I use is the Nip and Fab Viper Venom Eye Gel. Just for under eye wrinkles. I do this both morning and night. I feel in the morning it helps my make-up set under the eye and helps waken me up. Both Nip and Fab products are recent purchases and for now I am super happy. I will add my moisturiser in lastly as I don't use it all the time. I really only use moisturiser before putting on make-up and I use either Boots Skin Clear Oil Free Mattifying Lotion or Olay. The boots lotion is very cheap and affordable and is the best lotion I have found for my skin. I know that I could expand my skincare routine extremely but I'm timid about it. The next product I'm looking at are different kind of serum?? Let me know if you have any good serums for combination skin? !